The What: Luxul’s Epic Series of wired and wireless gigabit routers is now available with built-in Router Limits content management technology. The What Else: Using an interface that can be accessed from anywhere, Router Limits allows users to set a schedule cutting off internet access during specific hours. Built-in "Categories" and "Popular Sites" also allow entire swaths of the web to be quickly declared off-limits; each category contains millions of websites and is constantly updated. Even popular mobile apps like Facebook or Instagram can be controlled. Rules for use can also be applied to individual devices or groups of devices, from smart TVs to smartphones and tablets. If there are any concerns about how or when the internet is being used, Router Limits keeps history in the cloud where it can't be hidden, manipulated, or deleted. "Our Epic Series routers incorporate powerful technologies that make networks smarter and more reliable, while delivering a better customer experience," said Mike Grubb, vice president of marketing at Luxul. "We're glad to add Router Limits content management functionality, which provides robust, easy-to-access control for all users, whether it's parents scheduling internet time for their kids or employers managing network traffic. In addition to the Epic Series routers, we are building value with our XWR-1200 and XWR-3100 routers by adding Router Limits with a firmware update." Luxul's Epic Series includes the dual-band wireless AC3100 Epic 3, wired multi-WAN Epic 4, and wired dual-WAN Epic 5. 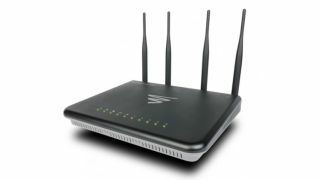 In addition, Router Limits is available for the company's dual-band AC1200 XWR-1200 and AC3100 XWR-3100 wireless routers via a firmware update. The Bottom Line: Router Limits offers cloud-based access controls for internet safety and puts users in complete control of every aspect of their internet experience, allowing them to choose which devices can access the web, what websites are OK, and the days and times the internet should be available. Router Limits users can also control mobile devices' access to the internet when they leave the network.